The garage door is one of the most valuable aspects of a home. Not only does it add lasting curb appeal and property value, but a quality overhead door ensures the safety of your vehicles and belongings. Whether you’re experiencing frequent mechanical issues or craving an aesthetic change, a simple garage door repair might not cut it. For over 100 years, Felluca Overhead Door has served as Rochester, NY’s premier source for reliable garage door services. Whether you need an installation, routine maintenance, or critical garage door repair, no job is too big or too small for these experts to tackle. Frequent Maintenance: While repairs may seem convenient, repeat visits from your local garage door specialist can quickly add up in price. Whether the issue lies in irritating noises or track misalignment, it might be more cost-effective to invest in a garage door replacement. An ill-functioning overhead door poses a daily risk by threatening to open or crash down when you least expect it. It also contributes to poor insulation, which can increase your heating bills and damage temperature-sensitive items in your garage. Keep your belongings safe by purchasing a replacement that functions properly, and forget weekly calls to the repair man. Lack Of Safety Features: If your overhead door is outdated, it probably lacks the safety features of newer models. With high-quality insulation, weatherstripping, and sealing joints, your new garage door will protect your home from harsh weather and dangerous intruders. If you notice drafts when climbing into your vehicle or using your garage as a workspace, look for a replacement door that satisfies your current needs. A New Function: Using your garage as an extension of your home is becoming increasingly popular. If you’re thinking of converting your garage into a guest room or gym, you might crave the decorum that goes along with it. Modern garage doors are available in many styles—from vintage to contemporary—and some include elegant features such as tinted glass to make your new space all the more livable. 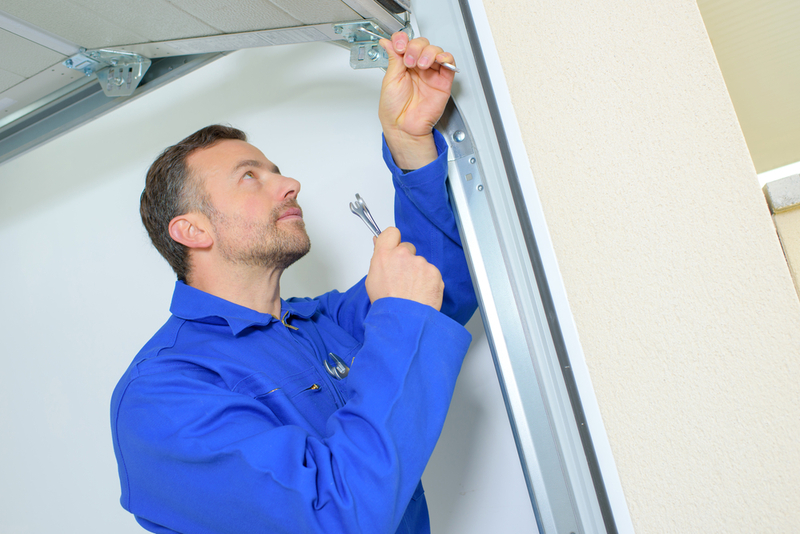 If you’re ready for a garage door replacement, turn to the experienced professionals at Felluca Overhead Door. With a broad array of attractive options and personalized service you can trust, your investment is bound to pay off. Visit them online for more information, or call (585) 467-2391 to receive your quote today!